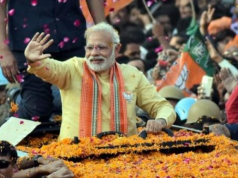 Bhubaneswar: Twenty seven thousand students of Kalinga Institute of Social Sciences (KISS) celebrated Birthday of Shri Narendra Modi, Hon’ble Prime Minister of India as he turns 68 years on 17th September. On this occasion, students of KISS wished PM Modi ji for his birthday and prayed for his long and healthy life. 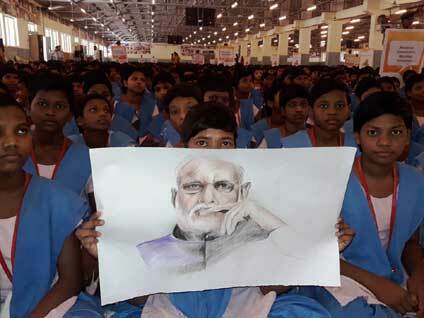 A drawing competition was held among students on Modi ji. A live painting of Modi ji was also made by a student of KISS. Students wrote their good wishes messages on the wall of experience. 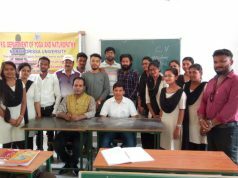 The students also got a chance to watch a documentary on Shri Narendra Modi ji.